Glenglassaugh distillery has only recently come back into production having been mothballed in the 1980s - the second time in it's lifetime. In fact, this distillery has spent more of it's life closed than open. It started production again in 2008 following a purchase by a group of investors. The BenRiach Distillery Company took over in 2013 and are currently at the helm. 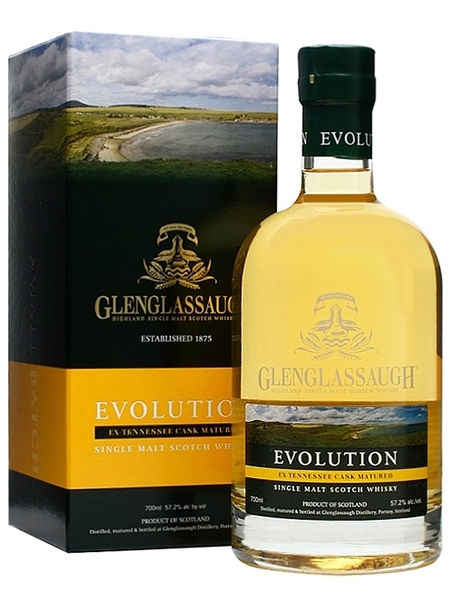 Glenglassaugh Evolution (~€77) is a single malt and matured in the more unusual ex-Tennessee casks. It is bottled at a generous 50% ABV.